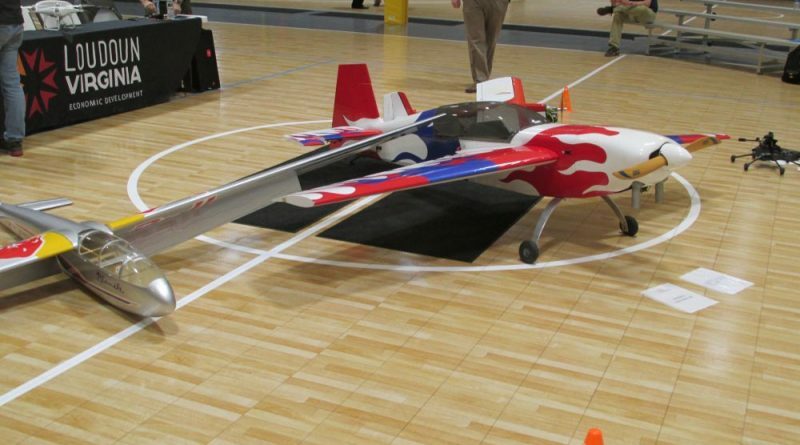 Loudoun’s unmanned aircraft enthusiasts met in Sterling to discuss unmanned flight systems. With the sound of airplanes rumbling overhead on a cloudless Friday, Loudoun’s unmanned aircraft enthusiasts met in Sterling to discuss unmanned flight systems. The event, part of Loudoun’s Small Business Week program, came as drones are helping to bring state and county economies to greater heights. In June 2015, Gov. Terry McAuliffe (D) signed Executive Order 43, creating an Unmanned Systems Commission to bring private and public sector experts together for long term planning on how to make Virginia a national leader in unmanned systems. Last year, Virginia ranked as the eighth largest concentration of unmanned system firms in the United States, most of which were located in Northern Virginia. “The state of Virginia has invested heavily in making unmanned systems a high priority in the business world,” said Rich Bensinger, director of Strategic Growth at Robinson Aviation. Bensinger served as moderator for a panel of experts from different parts of the unmanned systems industry. It included Graham Keithley, an associate at the legal firm Baker McKenzie who specializes in aviation regulation; Fred Briggs, CEO of Teq Strategy LLC and board of directors member for the Drone User Group Network; JC Silvey, a United Airlines Boeing 767 flight officer and professional drone videographer; and Dr. Christopher Vo, an artificial intelligence specialist who works with drones. Expertise wasn’t limited to the panelists’ table. The audience of more than 50 included professionals and hobbyists alike from the drone community. Many of their questions focused on the bureaucracy of piloting an unmanned vehicle, as the DC area is one of the most restrictive airspaces in the country, and Dulles Airport is a Class B, or entirely forbidden, airspace. Furthermore, Part 107 of the Federal Aviation Regulations includes numerous restrictions on drone use, such as bans on drone use at night, or one pilot controlling multiple drones at the same time. Loudoun County is on the frontier of drone use in the commonwealth. Speakers said they expected the role drones to only grow in importance to businesses. All the participants and panelists came for similar reasons of pushing the industry forward. “I’m genuinely humbled by the knowledge in this room, the passion that exists here. There have been a lot of questions about the 107 certification. 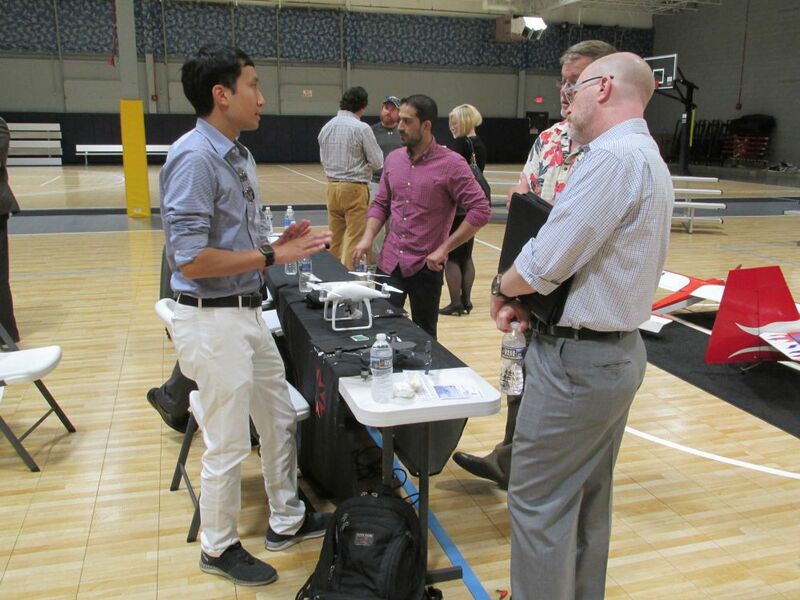 … I recently went through it, I just wanted to offer myself as a resource,” attendee Steve Jarrell, owner of Drone Video Partners, said. Rick Morris, business development officer at the Department of Economic Development, concluded the panel’s question and answer session. The “Unmanned and Ready for Business” panel was part of Loudoun Small Business Week, which concluded Saturday.